We rounded up livestreams of the EVO fighting championships for you before it began this past weekend, but if you weren't around to watch and want a peek at the last battles and winners of the individual tournaments, you're in luck. I've rounded them up for you down below. Enjoy! 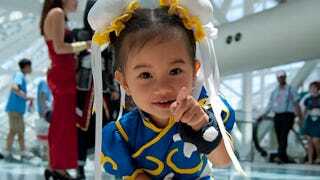 Oh, and don't blame my reuse of the adorable Chun-Li. I just couldn't help myself.